Looking for a sweet treat to enjoy at a party or watching football? 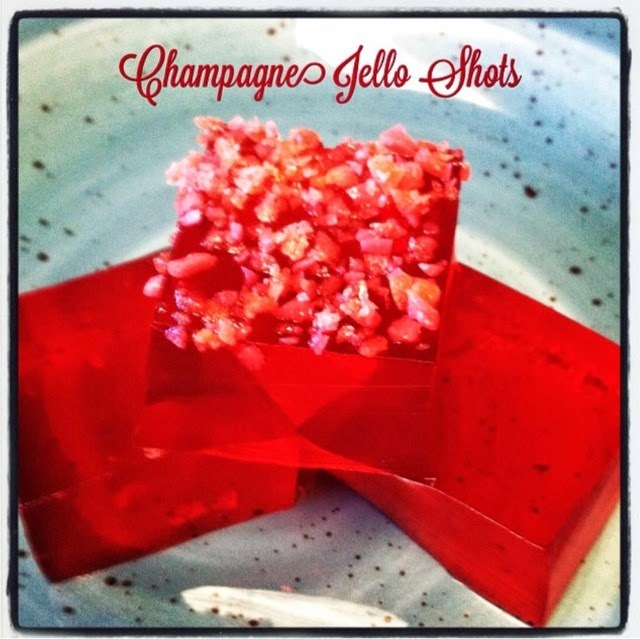 Introducing champagne Jell-O shots topped with pop rocks. 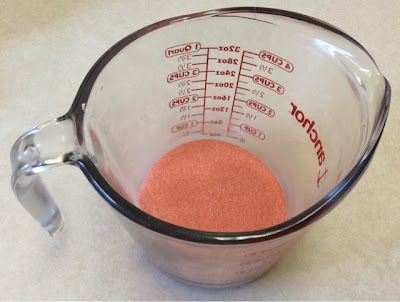 Step 2) Slowly pour one cup of boiling water into the powder mixture. 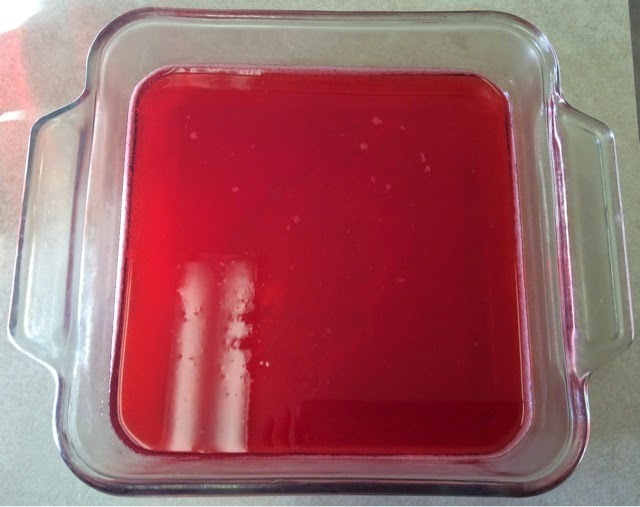 Stir until gelatin is dissolved. Step 3) Slowly stir in 3 cups of champagne. Wait until bubbles pop after each cup. 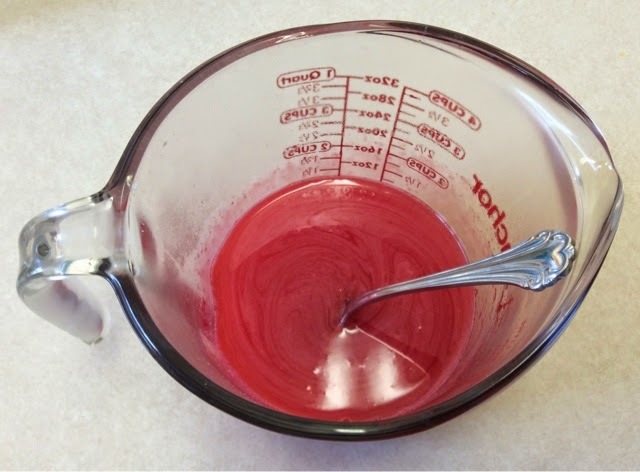 The mixture will fizz when poured in. 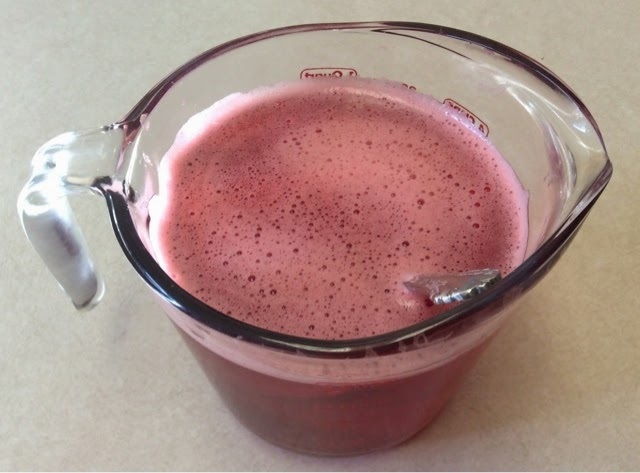 Step 4) Once bubbles pop pour mixture into a container. I used a small square container and small cups. Step 5) Let jello chill in your fridge for at least 4 hours until gelled. Step 6) Using a sharp knife cut jello into small squares. 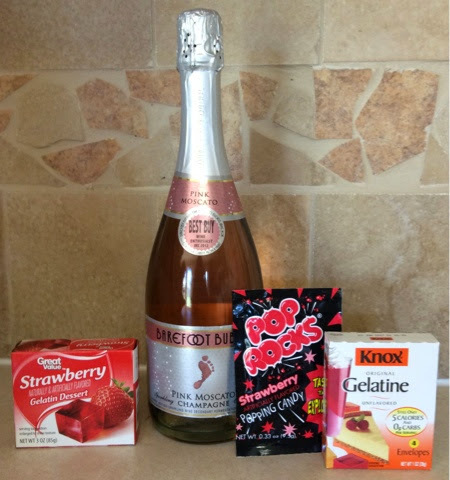 Step 7) Pour pop rocks on a small plate and dip squares into pop rocks immediately before serving. 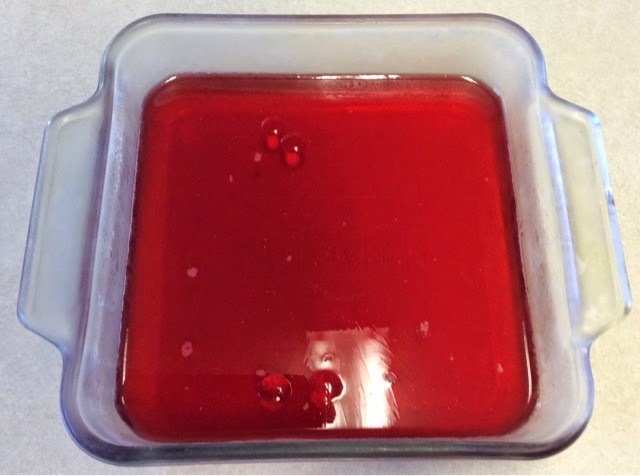 Pop rocks will start to pop when in contact with Jello.